The BAM Nuttall Vision video idea was developed by the communications team who didn’t want a page of text and a few images for their new website; that would be boring. They wanted to make an impact with video. So, we took key messages from each pillar of the company vision statement and turned them into voice-over. Finding the right voice artist was essential. We all felt that John Harrison was perfect for the job. 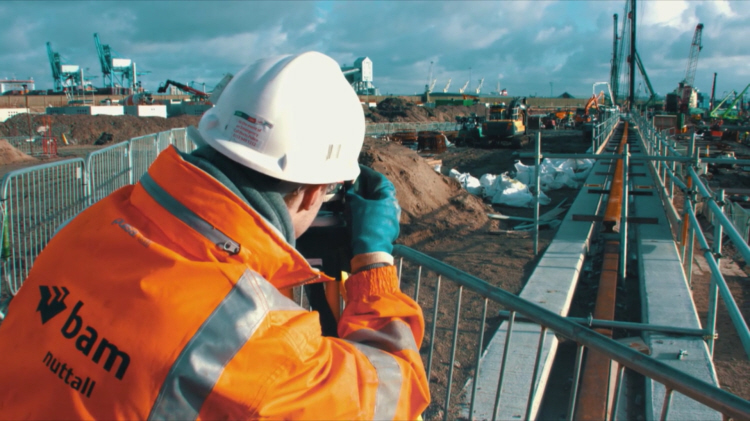 We searched through our BAM Nuttall footage library for suitable shots to support the story in each pillar and we created a simple graphic style (text, split screen wipes, and lens flares) to sew it all together into a seamless visual presentation. The final layer was adding the music.